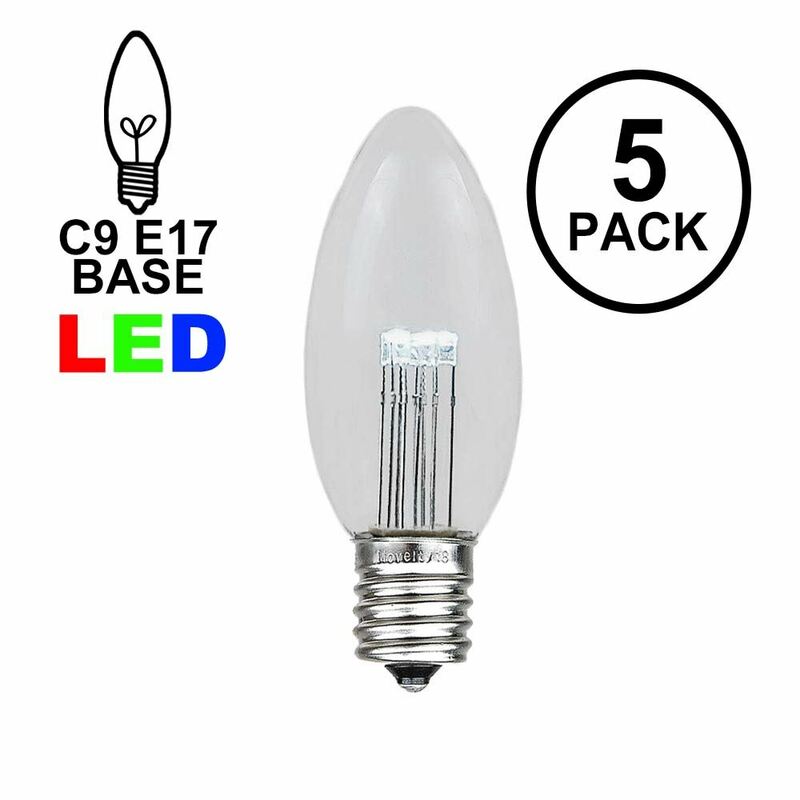 Ultra bright and extremal energy efficient smooth glass C9 led bulbs for indoor and outdoor lighting applications. 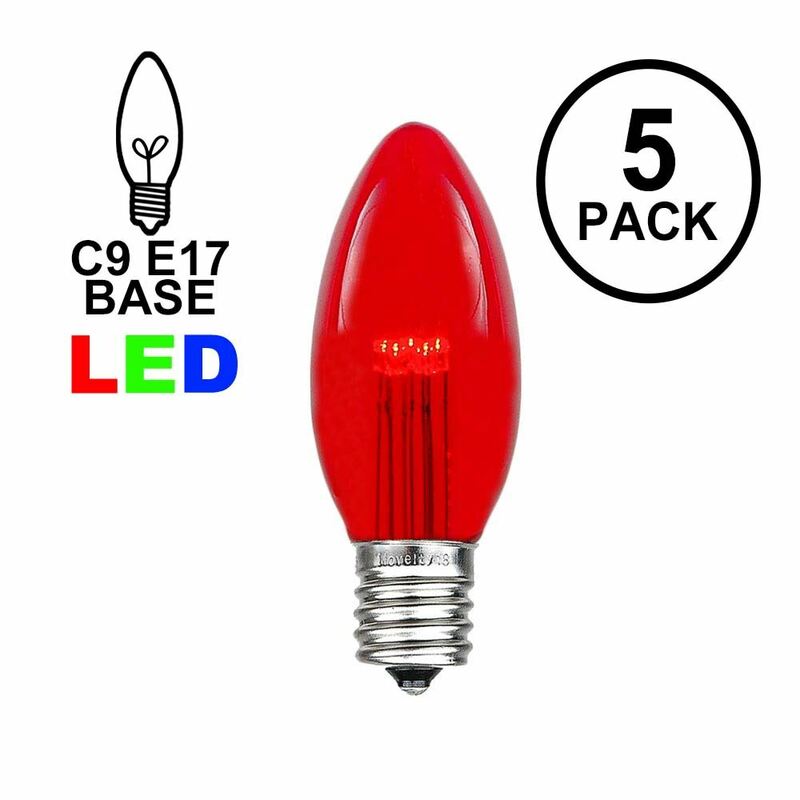 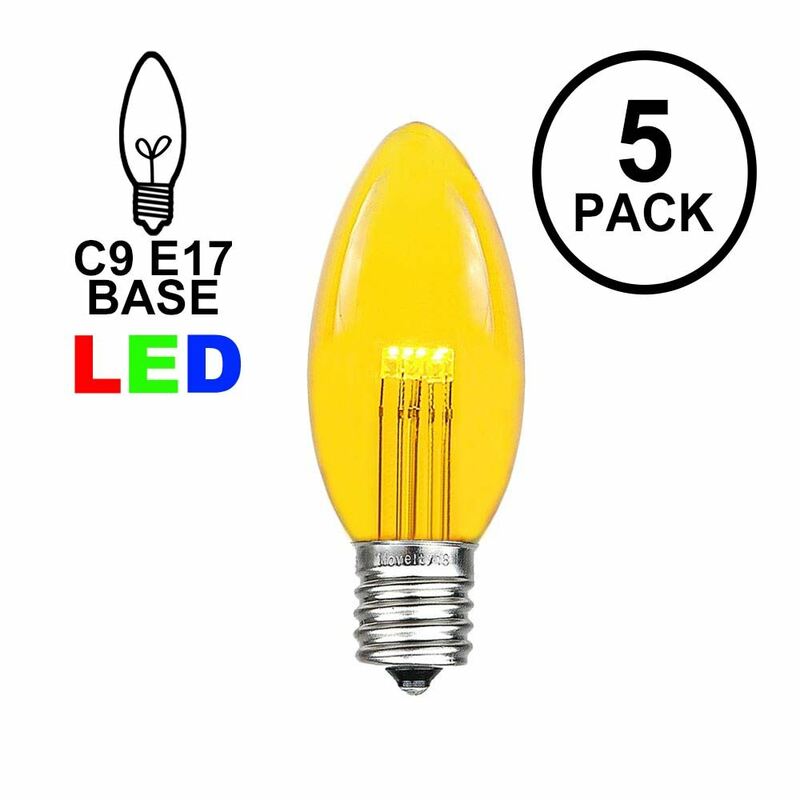 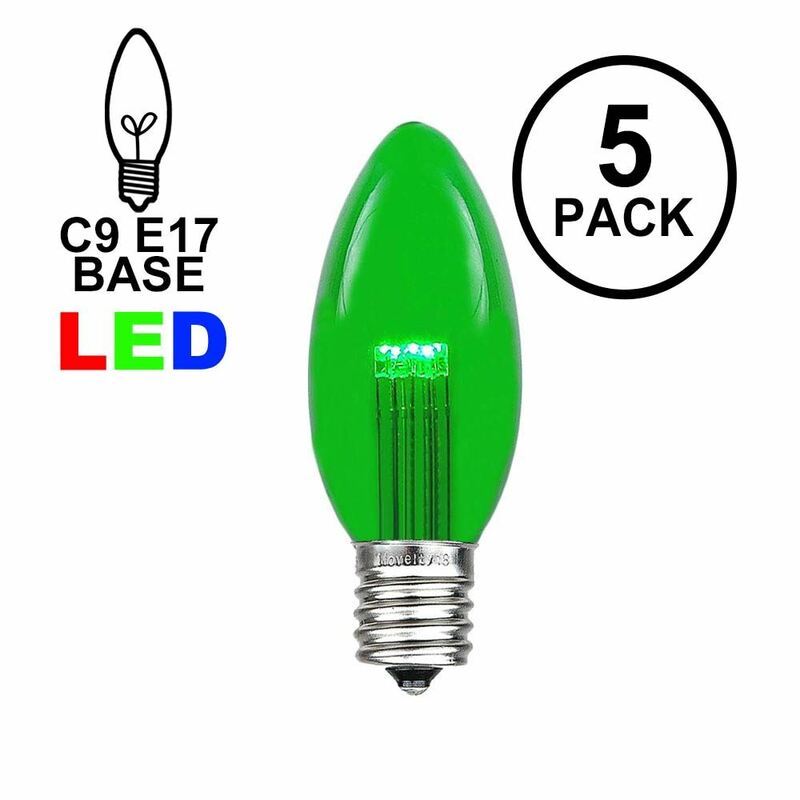 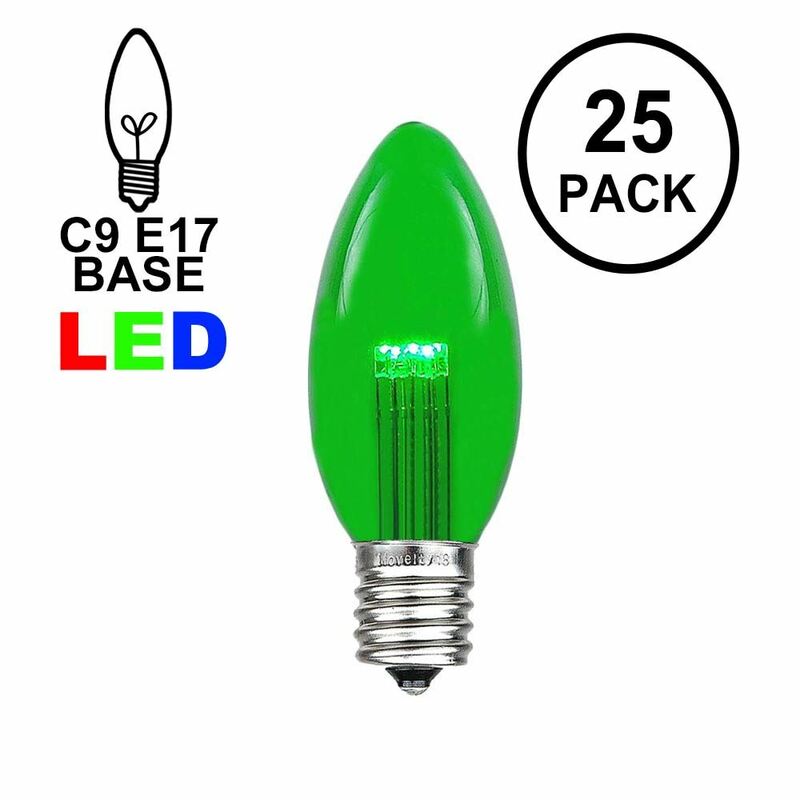 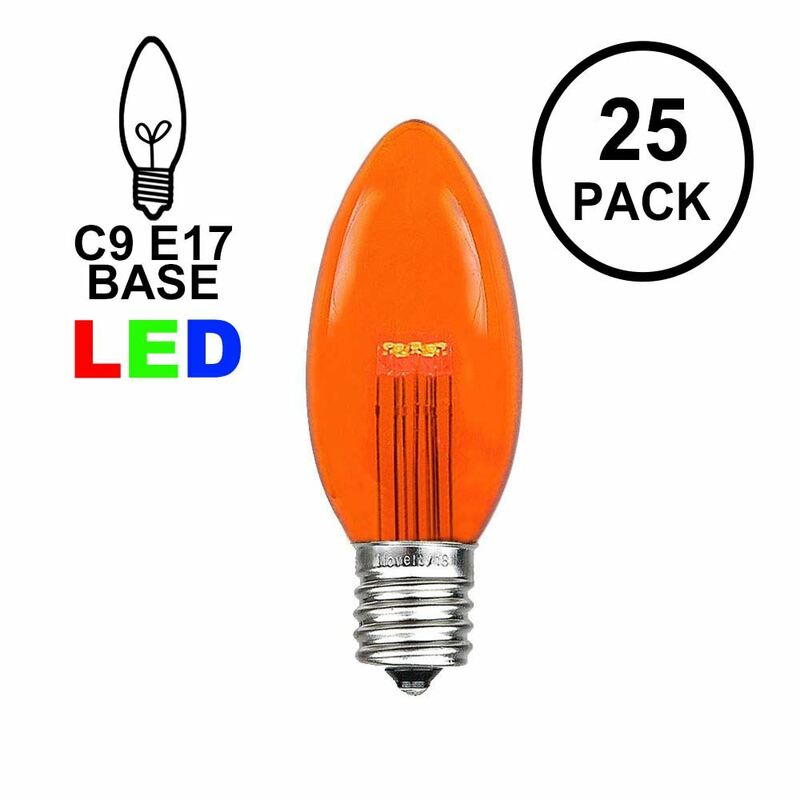 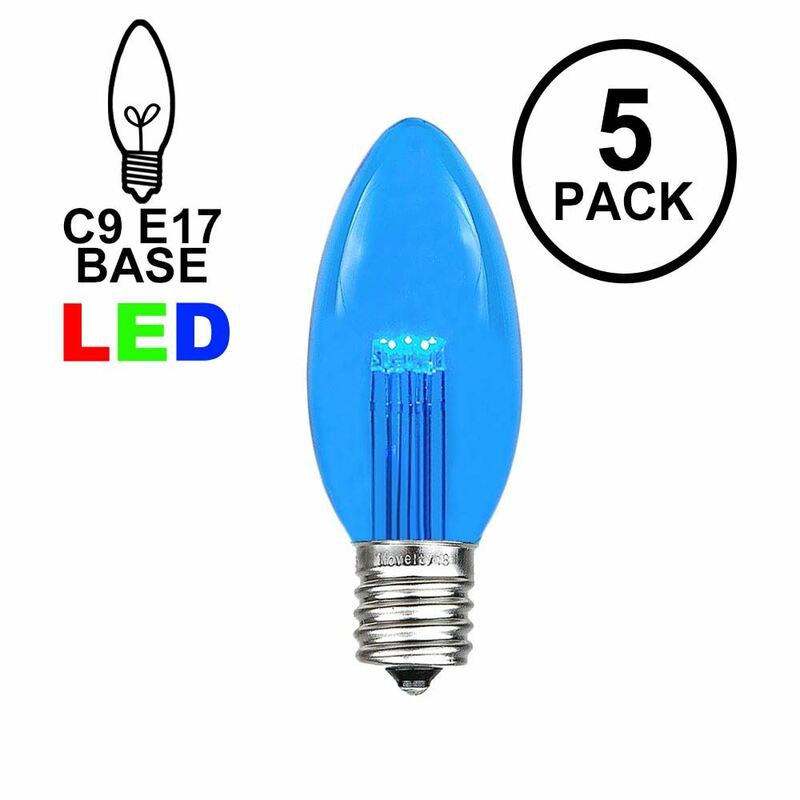 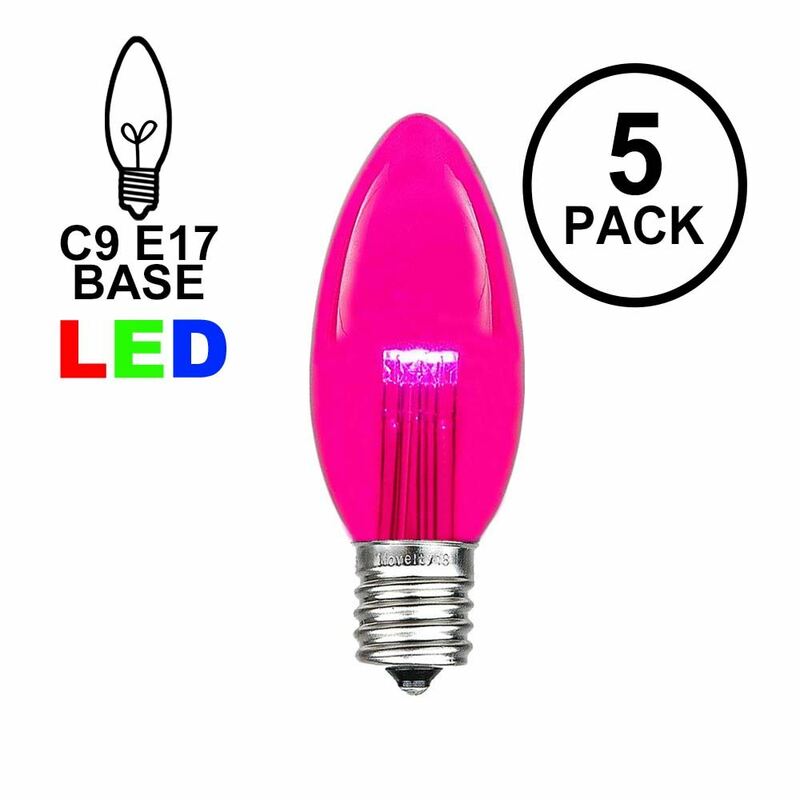 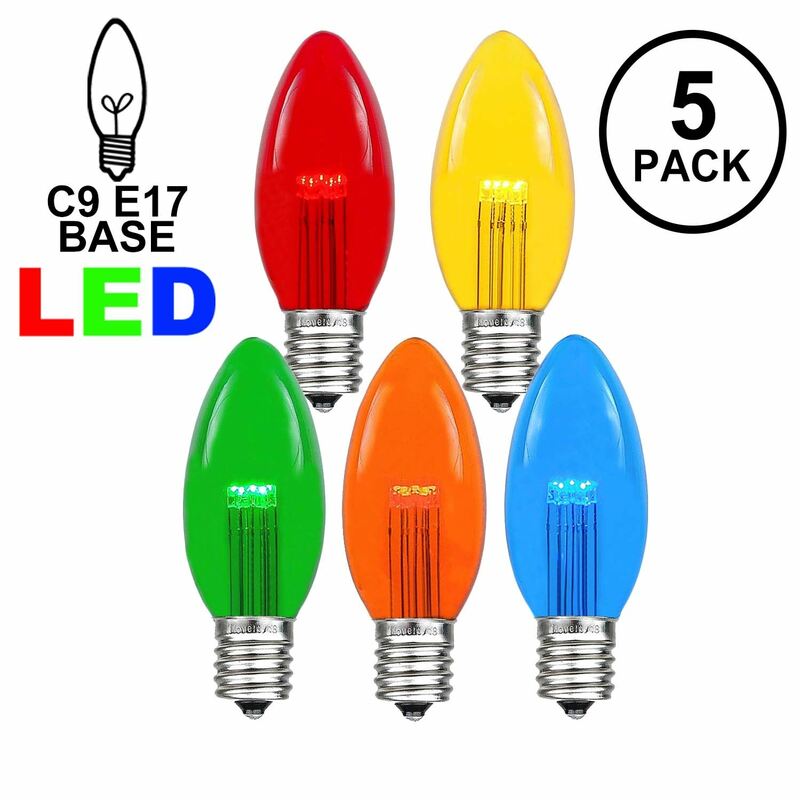 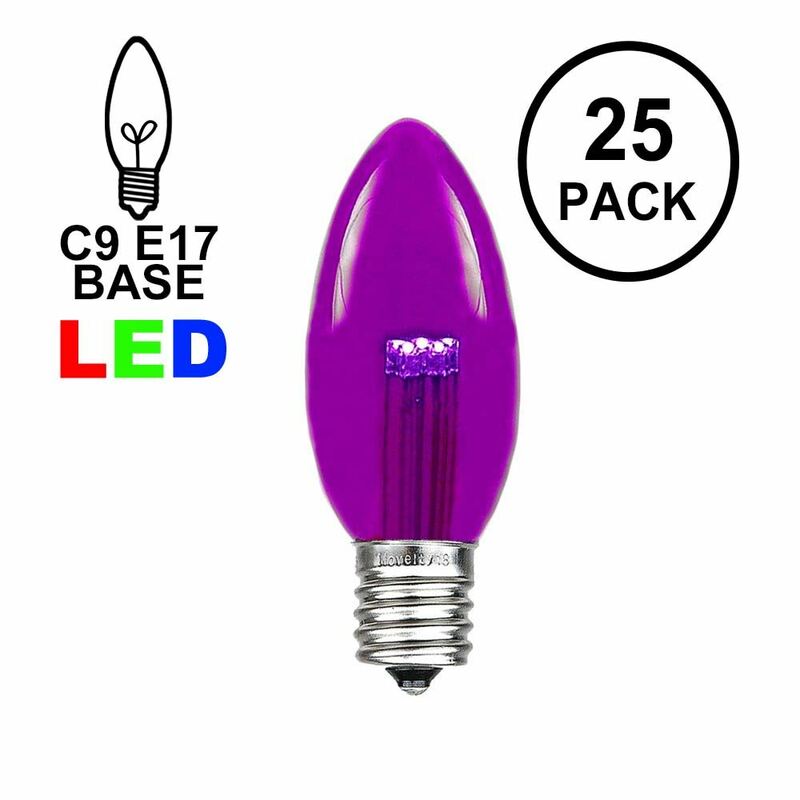 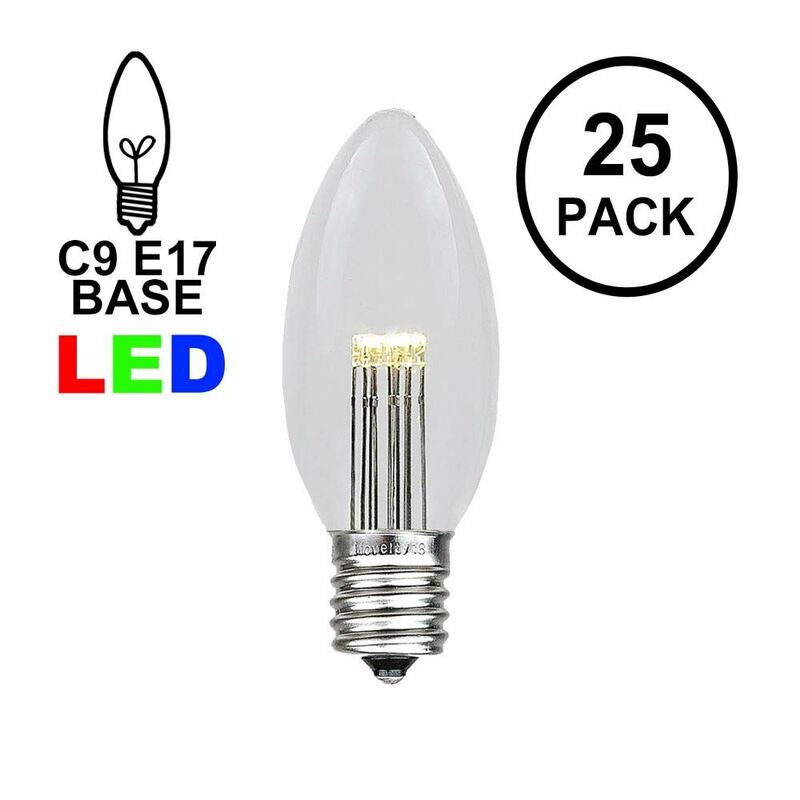 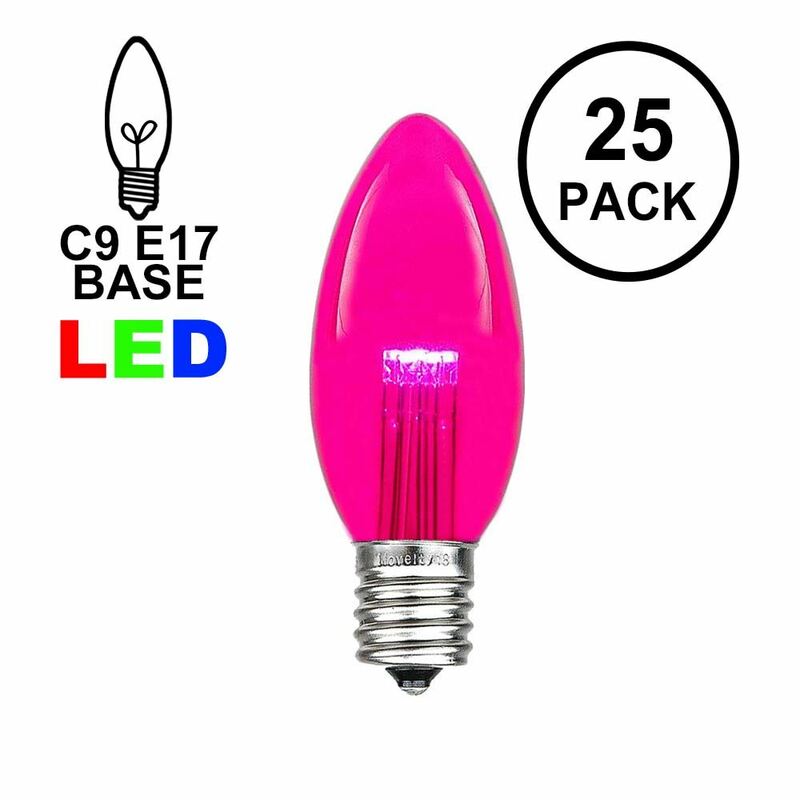 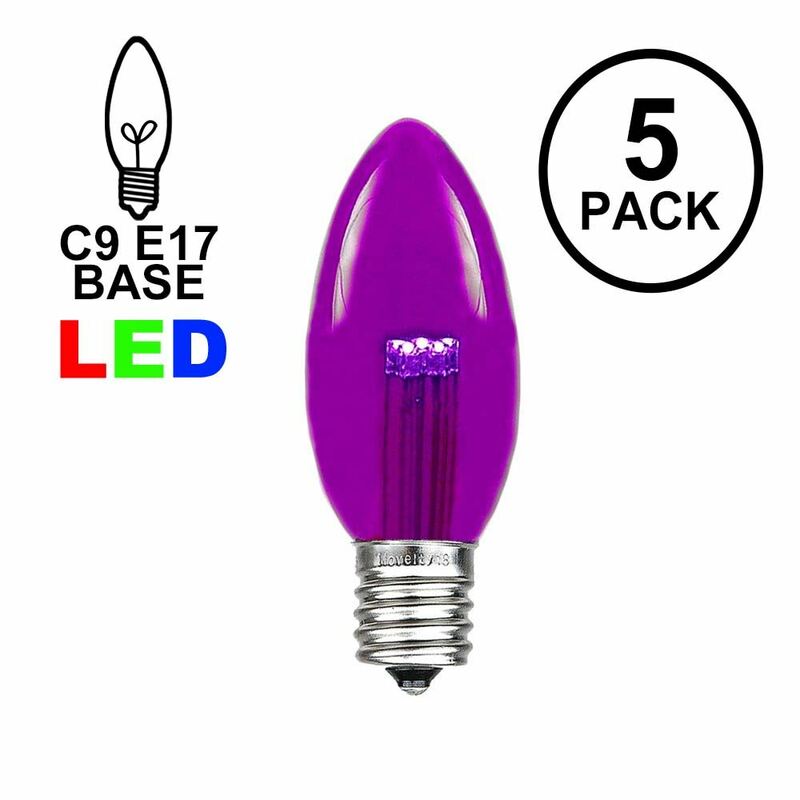 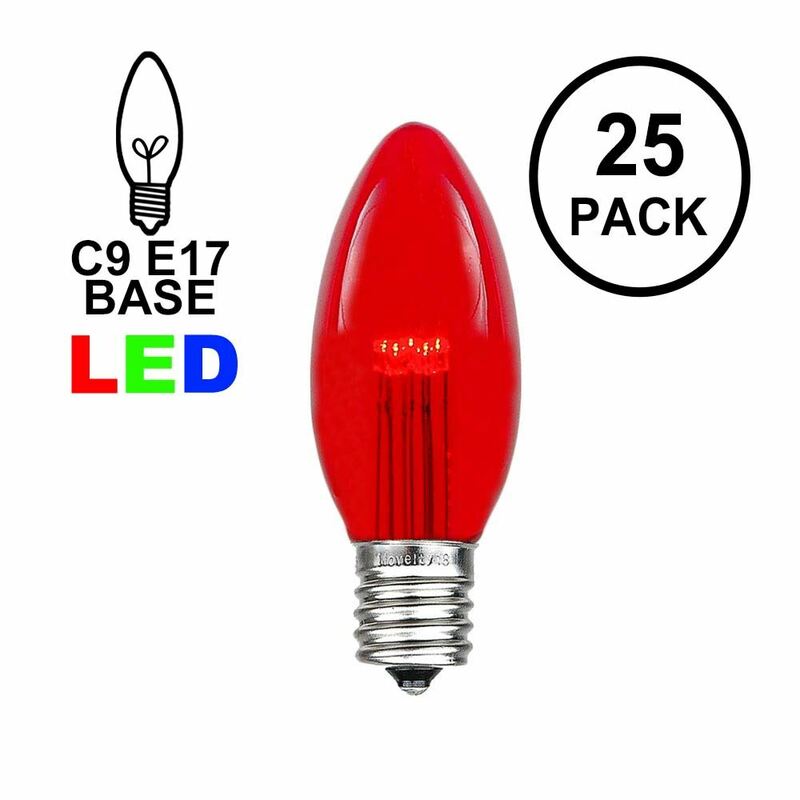 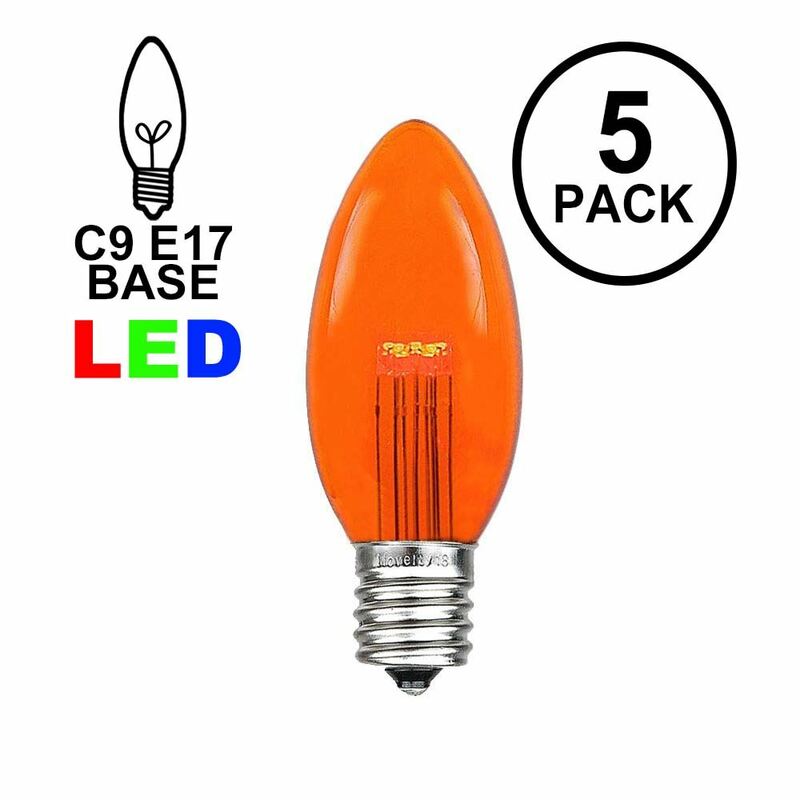 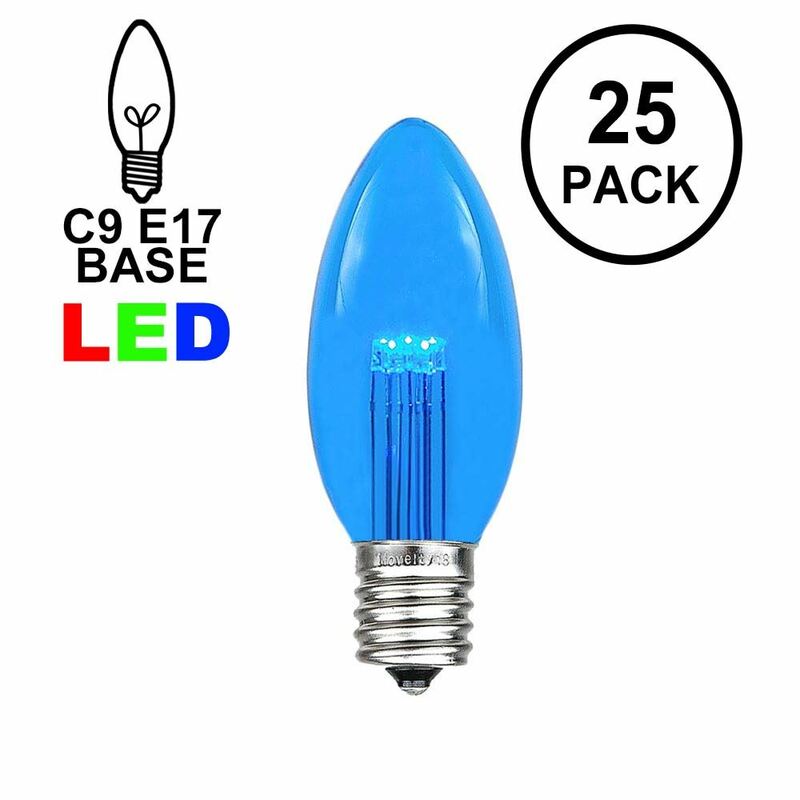 These amazing bulbs only use use 0.5 watts and are as bright as a traditional 7 watt C9 bulb. 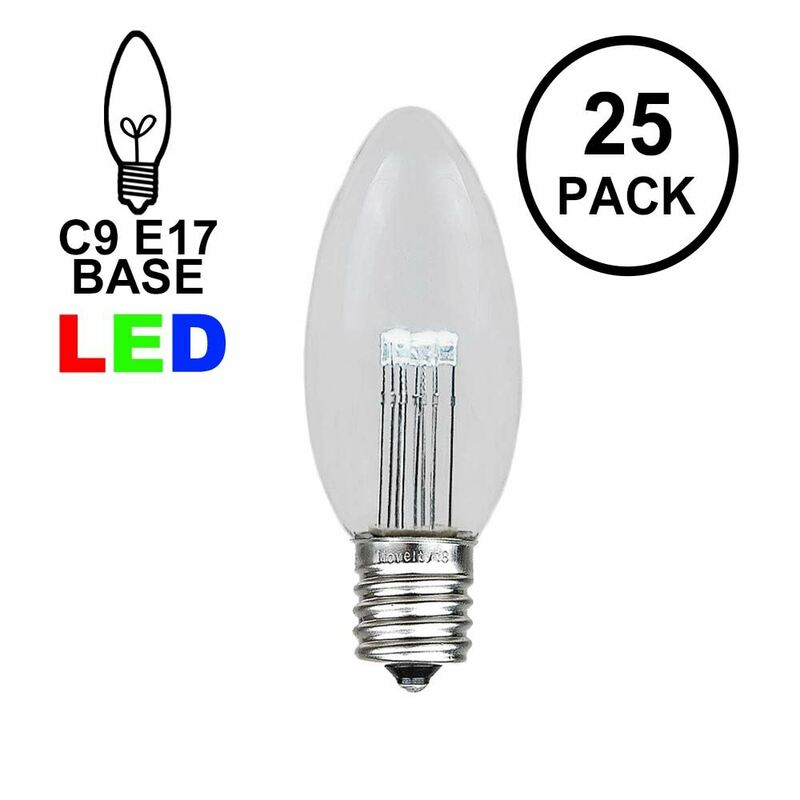 Our clear smooth class bulbs are designed to be outdoor for long periods of time and used for many christmas seasons; the glass bulb will not fade or discolor. Use these chic bulbs with our C9 Stringers (25' & 100'), our E17 Heavy Duty Light Strings (25', 100' & 330'), our commercial grade bulk 1000' C9 spools as well as our vintage Twisted Wire Strings with E17 Bakelight Sockets.